Not for children under 12 years or during pregnancy. Consult with your dentist before using a whitening or bleaching product. Taking an edge, pull the soft strip off the plastic film, face the gel side to the surface of tooth. - Looking in a mirror, align the straight edge of strip to the gum, gently press and adjust the strip with finger, making it completely adhere to the tooth surface. 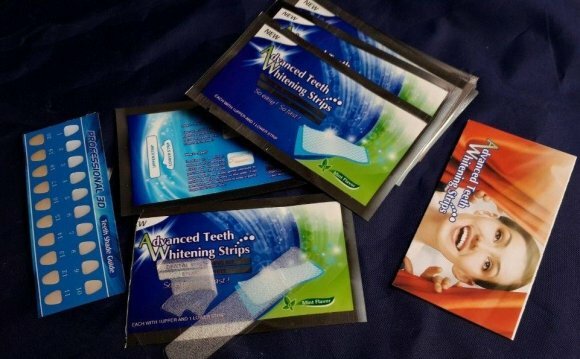 - Repeat using second strip - Remove the teeth whitening strips and discard after 30 minutes. - Clean off any remaining gel residue by brushing your teeth and gargling.